How Do Birds React to Sesame Seeds? What Flowers Do Bees Like? The decline of bee populations in recent years has been worrying: Scientists fret that if the sharp decrease in the number of pollinators in the environment continues, the results could be catastrophic for the global food supply as well as global biodiversity. 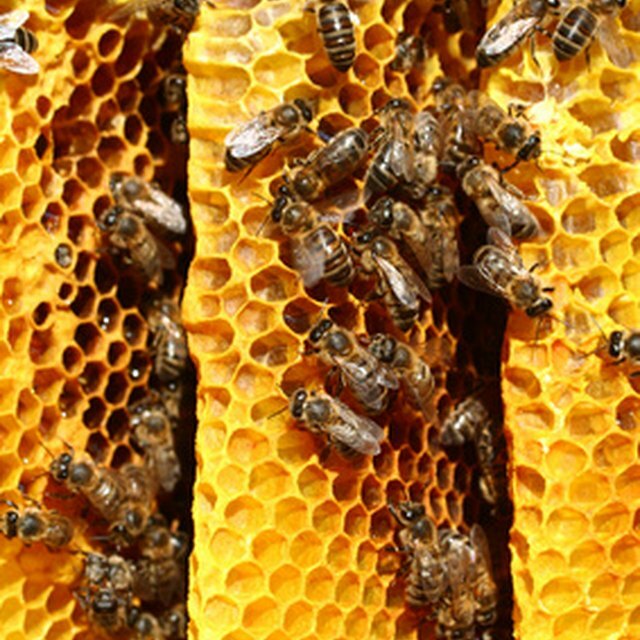 As a result, a number of organizations and groups have been created with the goal of supporting and encouraging the growth of bee populations in various regions. One popular way to join these efforts is to plant a pollinator garden with plants that are attractive and useful for bees, along with other beneficial insects species. A wide variety of plants work for this purpose – meaning that any garden, regardless of region, can be tended to keep bees happy, healthy and visiting regularly. 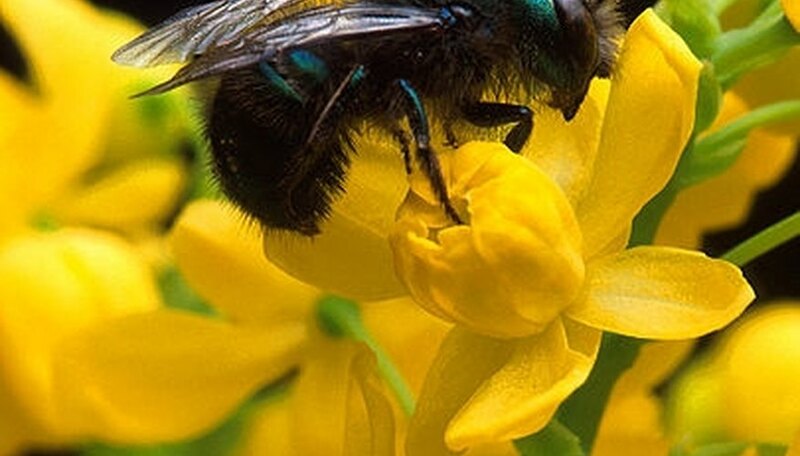 Generally, bees prefer plants that produce both nectar and pollen. They are attracted to gardens with a range of different flowering plants. Patches of open soil and small sources of fresh water will help encourage bees to gather in an area. When planting, plants bred to be sterile (lacking stamen or nectar) should be avoided, as should flowers like roses or peonies with dense, clustered petals. Insecticide use should be kept to a minimum. The best flowers for bees will bloom for a long period of time, or can be prompted to bloom in both spring and summer, or summer and fall. Cornflowers, aster, foxglove and sunflowers are all good choices, and herb gardens are particularly attractive when allowed to flower. When planning out a pollinator garden, consider more than just the plants: For bees in particular, a garden can be made significantly more attractive by providing resources and small spaces that offer the bees places to rest, burrow or find shelter. Patches of open soil, small piles of twigs and little sources of fresh water will encourage bees to frequent your garden – as will "shelters" made of wood, stone or plastic, which can provide an escape from high winds, rain or cold. At the same time, the use of insecticides should be kept to a minimum if they are used at all. Ideally, a pollinator garden's plants should get roughly six hours of sunlight daily. When planting pollinator garden plants, ensure that a variety of blooms are available at the same time – the best plants for bees will bloom for an extended period of time, or can be encouraged to re-bloom in the summer or fall. Single-headed flowers will provide the most nectar for honey bees, and brightly colored plants will act as signposts guiding bees to your garden. Plants bred to be sterile (lacking stamen or nectar) should be avoided, as should flowers like roses or peonies with dense, clustered petals, which can confuse bees or give them trouble when landing. Cornflowers, aster, foxglove and sunflowers are all good flower choices, as are goldenrod, cosmos and bluebells. In addition to flowers, herbs are an incredibly attractive feature. Because herb gardens can exist in a small space, they allow urban gardeners with small plots to support local bee populations, even if the only planting space is on an apartment balcony. Plants like oregano, rosemary, lavender and mint – all of which have kitchen uses – can attract bees and other beneficial insects. Flournoy, Blake. "What Flowers Do Bees Like?" Sciencing, https://sciencing.com/flowers-do-bees-like-5378857.html. 06 August 2018.